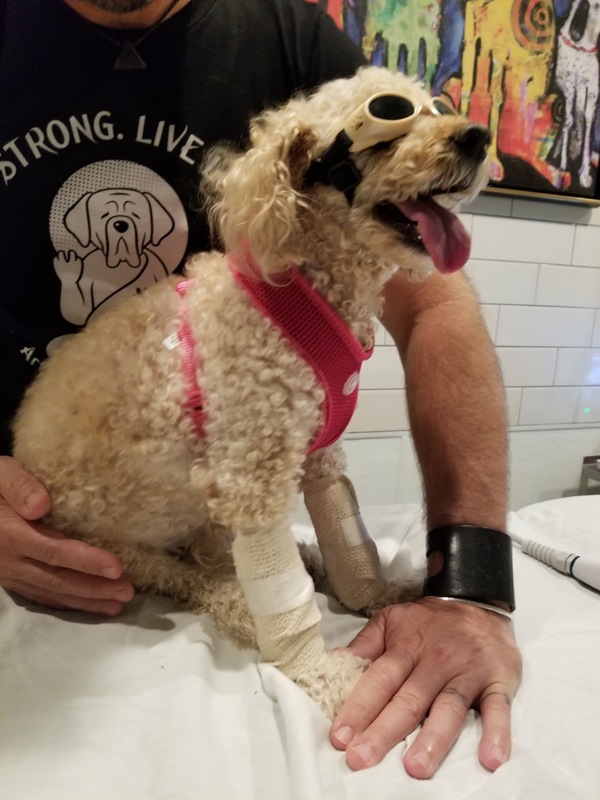 Chloe has been coming to Canine physical therapy at Arfit for approximately 5 weeks now and has made tremendous progress. 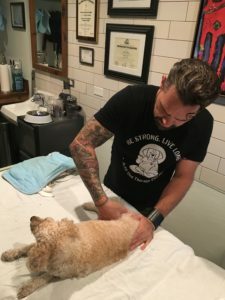 We have been focusing on her hips adductors and Illio femoral ligament with Cold Laser and manual therapy followed by rhythmic stabilization and ART therapy on a foam roller to mimic standing in quadra bed while supported. Chloe sitting with moderate to mild assist.